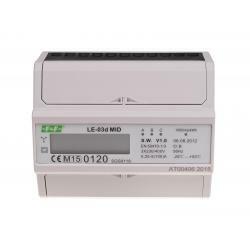 In the case of transformers with dedicated operating parameters, the meters display the actual value of the power consumed by the system. 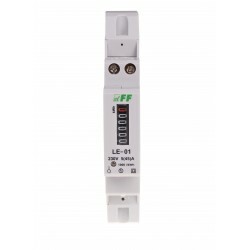 A special arrangement under the influence of the electronic flow of current and applied voltage in each phase generates pulses in proportion to the amount of electricity charged in that phase. 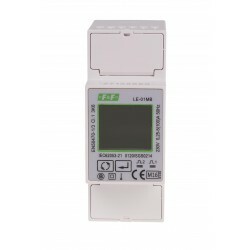 Consumption of energy in the phase is indicated by flashing the corresponding LED (L1, L2, L3). 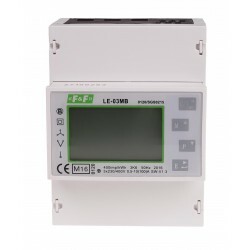 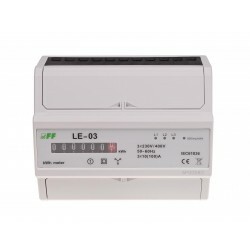 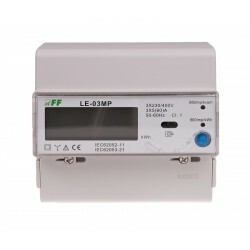 The sum of the three phases of pulses indicated by flashing LED (800imp/kWh) is converted to energy, taken in the entire three-phase system and its value is determined by the segment LCD display. 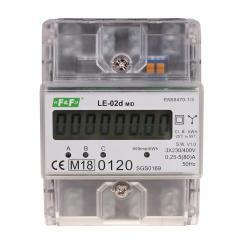 Meters are equipped with SO+ -SO- pulse outputs. 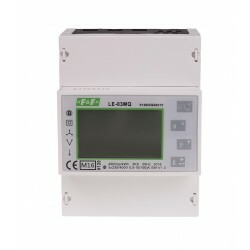 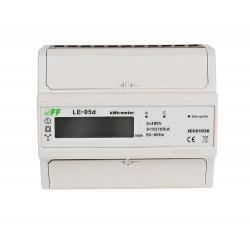 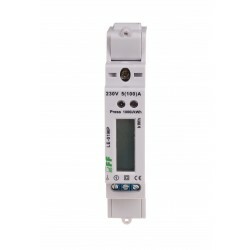 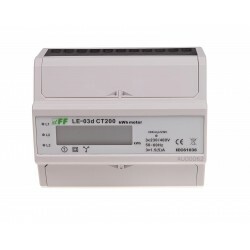 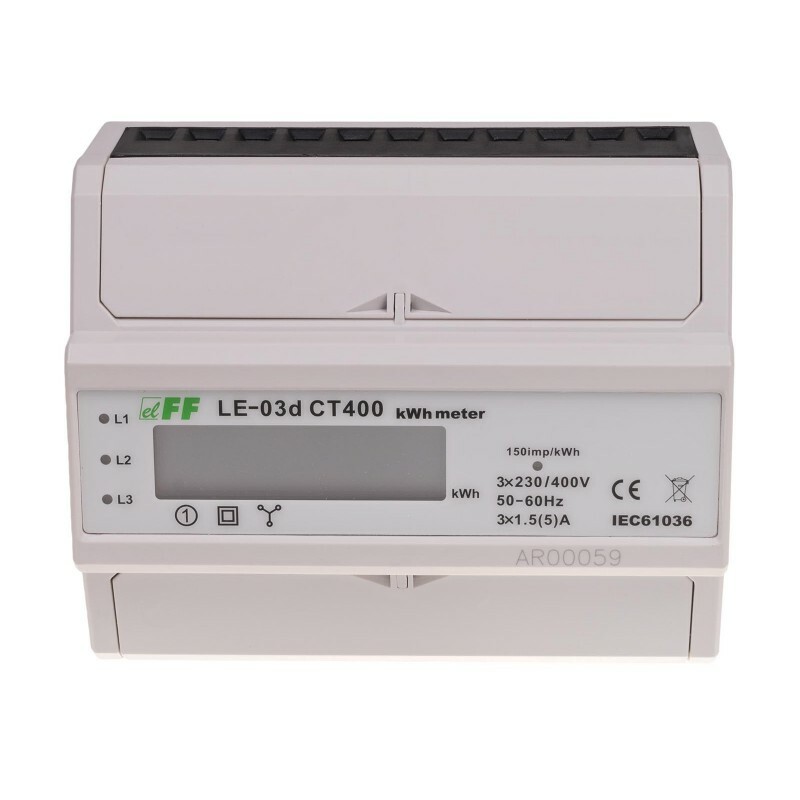 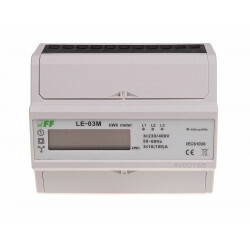 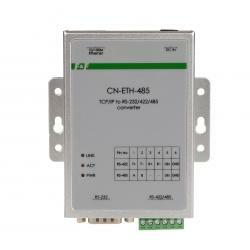 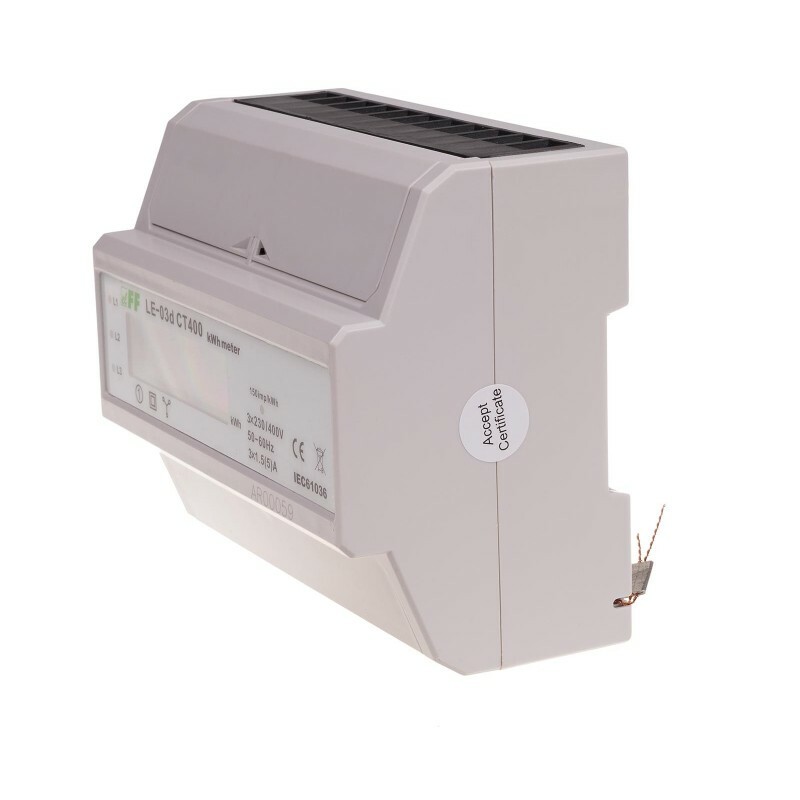 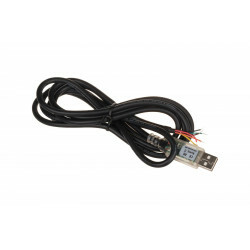 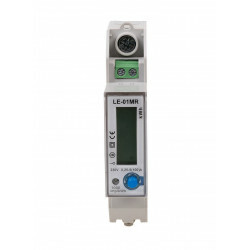 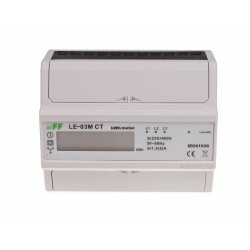 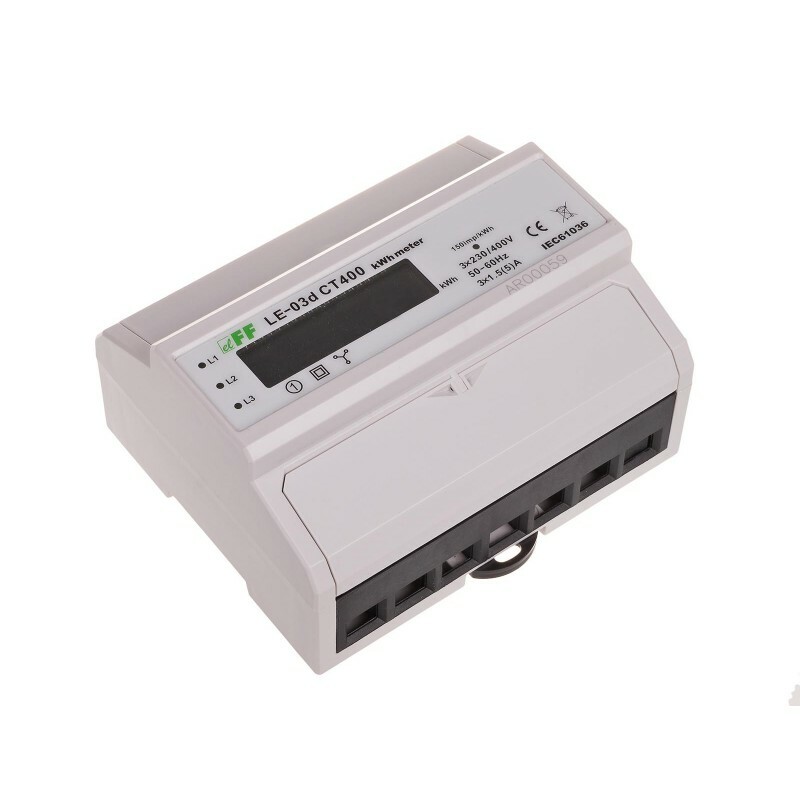 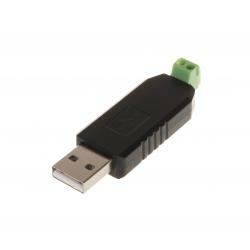 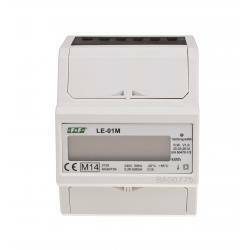 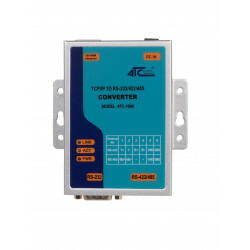 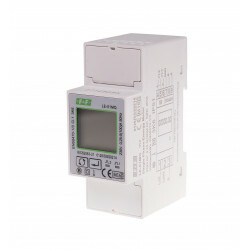 It enables the connection of other pulse device (SO), reading the pulses generated by the meter. 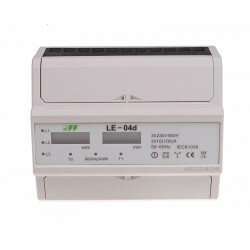 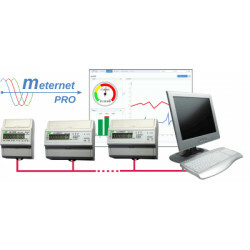 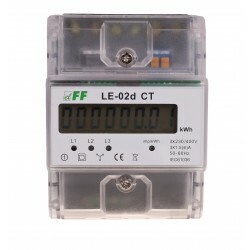 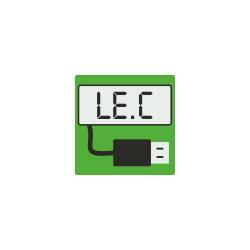 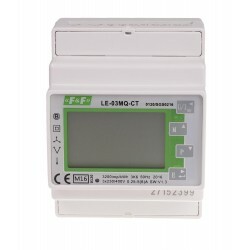 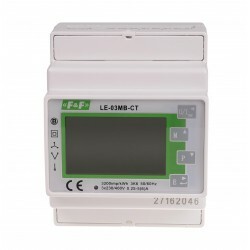 The connection of additional device is not required for the proper operation of a meter.